PiMP Mining Magazine – So you Stay in the Green – January 2019 | PiMP OS and Miner.farm: the fastest and easiest way to mine ALL crypto currencies. We have seen an increase in signups for the PiMP OS Referral Program and some folks are earning extra money by recommending the easiest way to mine crypto to their friends. Check this out and make some extra cash for yourself! Mine all the hottest new coins with pimpup OTA updates so you have the new versions of the miners. 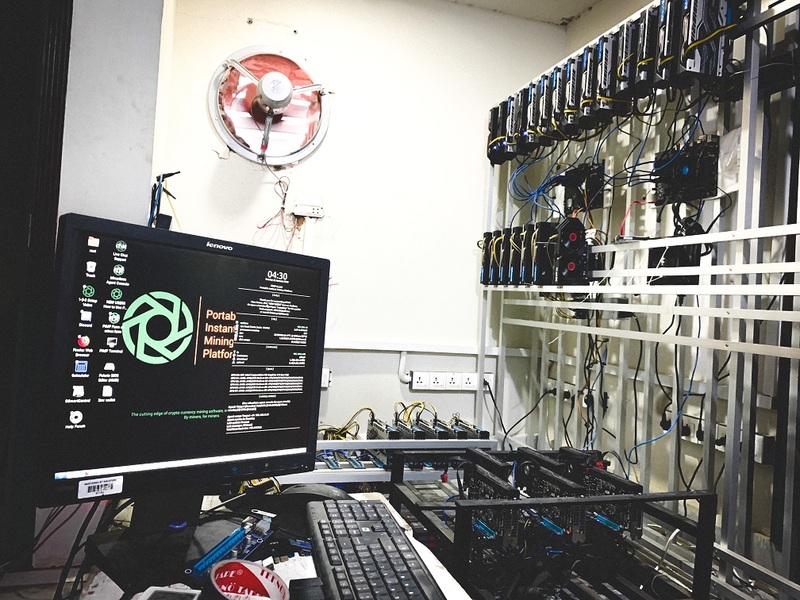 This ensures you are current with the latest optimizations from your friends at T-Rex, Z-enemy, CryptoDredge, and over 20 other modern miners – all tested and integrated by the PiMP Beta Team. 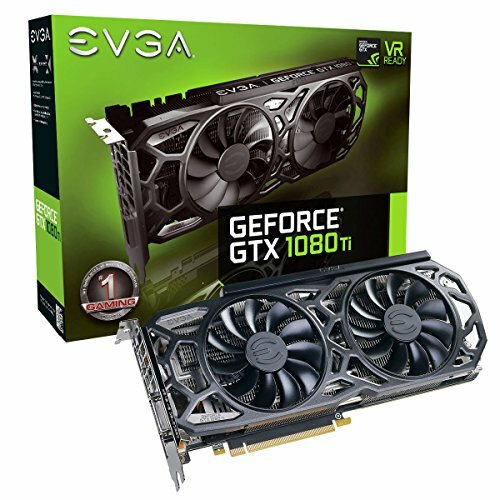 Not only is PiMP OS making it easy for miners tired of fighting with Windows drivers, the folks that are selling their farms are leaving plenty of cheap GPUs and lots of block rewards for us to grab and enjoy. Those who have stayed the course are reaping more of the rewards. The Brash Report is primarily geared toward US tax law but the ideas can be applied most likely to other countries. This section of the PiMP Mining Magazine is to help you learn about how to be tax compliant and profitable with crypto! January Tax Tips – Keep Good Records! Congress lowered the corporate tax rate to 21%, and to avoid having every small business rush to open a corporation… they created a 20% small business deduction (aka Section 199A deduction) on personal tax returns. This will apply to miners who keep good records. Keep in mind that you need to keep track of business profits… AND for the first time… keep track of business losses to CARRY OVER to FUTURE YEARS. Accuracy will be important because you do not want IRS to make an “estimate” to replace your accounting. This is never good. It will be important to track crypto gains/losses due to holding before exchanging your crypto for anything else (USD$, other crypto, coffee…etc). You should not report these as income from trade or business, but instead as a capital gains. Thus the crypto gains and losses do not get included in the 20% small business deduction… or loss carryover calculation. 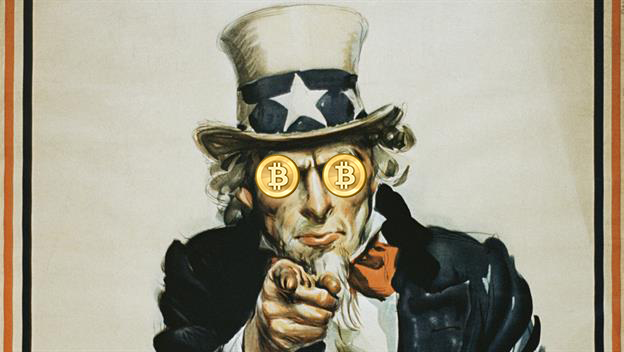 Protect your crypto from the tax man. Keep good records! This is the most conservative approach. There are amateurs who will give you bad advice, and there are professionals who do not know crypto. When you do this right, you will get to keep more of your crypto. My best suggestion is to get competent, professional advice, and educate yourself. Ignorance of the tax law is not going to help you in the long run. Brash is taking your questions for the next issue! Just email ask@getpimp.org your tax or other crypto related questions and we will help you find answers! 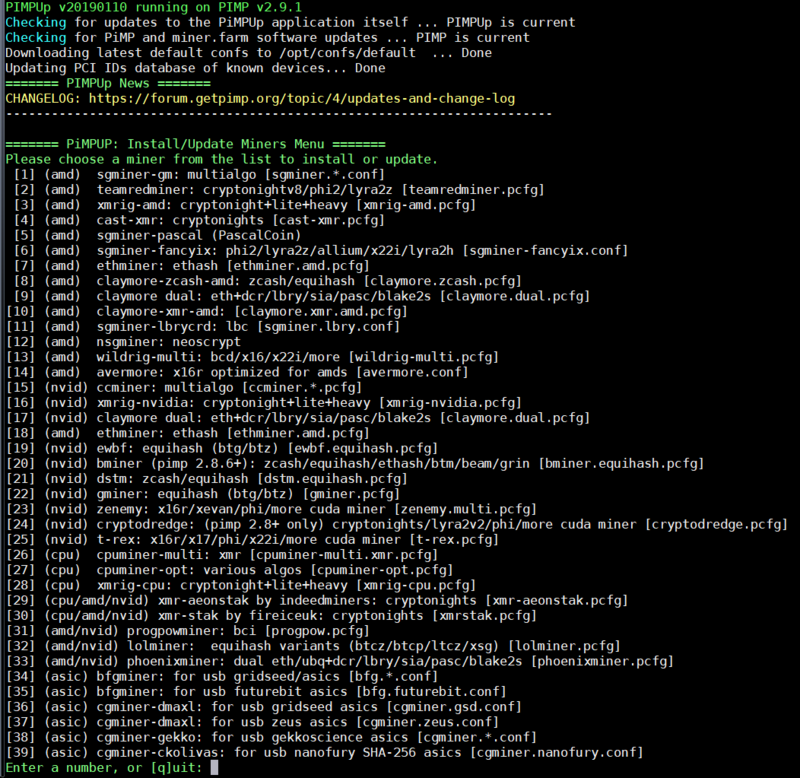 Miner.farm v3 is running smooth! We have been fixing little bugs here and there, and we’re already planning the next wave of improvements for miner.farm 3.1. Thanks again to the PiMP Beta Team for making this huge release pain-free! Just a reminder, you now have full control over adding time to your subscription using the new MF3 shopping cart interface, right in your account. How-to guides are on forum.getpimp.org under the Miner.farm Support category. 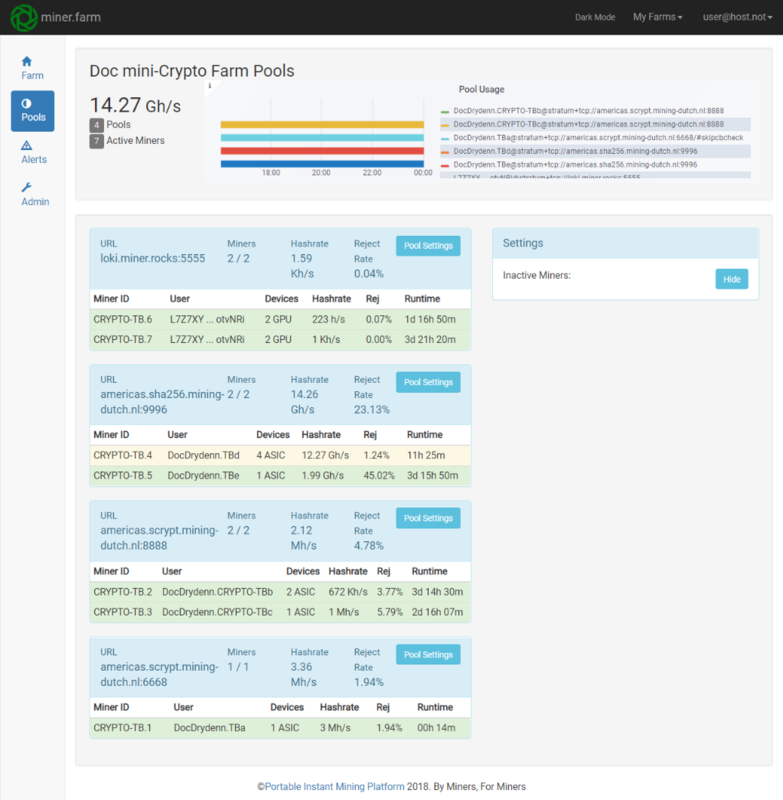 Also in the Product News Section we have created a Miner.farm Changelog so you can be up to date on what’s new with MF. PIMPUP OTA Updates have been huge and full of the latest and greatest updates from folks like CryptoDredge, T-Rex, and Z-enemy. We have added a ton of new miners so you have lots of choices and support for every coin and algorithm, including lolMiner, gminer, phoenixminer, cast-xmr, and wildrig-multi. We are also simplifying the ever growing list of managed profiles. If you have a stable miner with api and per-device stats that we should include, let us know! PiMP OS 2.8.6 is our most stable platform yet and we just have a few small fixes left for PiMP 2.9, which is already in beta testing. It will have all new AMD, CUDA, and NVIDIA drivers included, and all the latest updates from Ubuntu and PiMP OS. We also have been hard at work on the 3.0 generation of PiMP applications. For the last few weeks we have been writing helpme3, which adds an all-new modern UI as well as smart problem checking so you can resolve problems faster than ever. Thanks for your Support – we saw quite a few new signups to the Referral Program and some miners are earning extra money! Spotlight: Lolliedieb from lolMiner and BEAM Team! We had the pleasure of having Lolliedieb, one of the top Equihash and OpenCL developers, in our Clubhouse Call! Thanks for joining us, Lollie! Latest news is: Lolminer is being rewritten from the ground up for performance and optimization. He wants to be able to support other algos besides Equihash – and more AMD + NVIDIA mixed support. The way the work is scheduled is complex – OpenCL and CUDA take the work much differently – and it’s tricky not to go to 100% CPU usage. 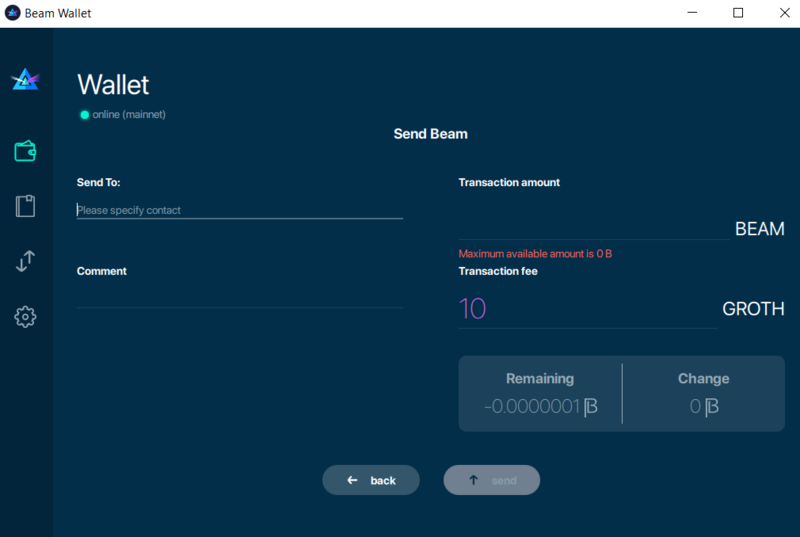 The lolminer 0.7 alpha so far supports a brand new hot coin called BEAM. This is an Equihash 150_5 variant that runs great, and is focused on AMD. Once he gets the other algorithms in, we will deploy via pimpup. Currently BEAM mining is available in PIMPOS for AMD and NVIDIA using bminer, and NVIDIA using gminer. He expects to bring the other algorithms back by beginning of Feb. which is the anniversary of lolMiner! If you are mining ETH then you are probably loving the latest postponement for Constantinople. Keep on keeping on, ETH miners! As of writing, the update is now scheduled for the last week of February, with the exact block to be announced. As we know the prices are not great right now but if you are planning to mine and HODL then you may still be mining ETH as many are. The technology is definitely there and while some people think the crypto markets have cooled or frozen over, we know that it will heat up again eventually. While Constantinople will reduce block rewards, which is bad for miners, the network upgrade should add some value to ether. Lets go ETH!! 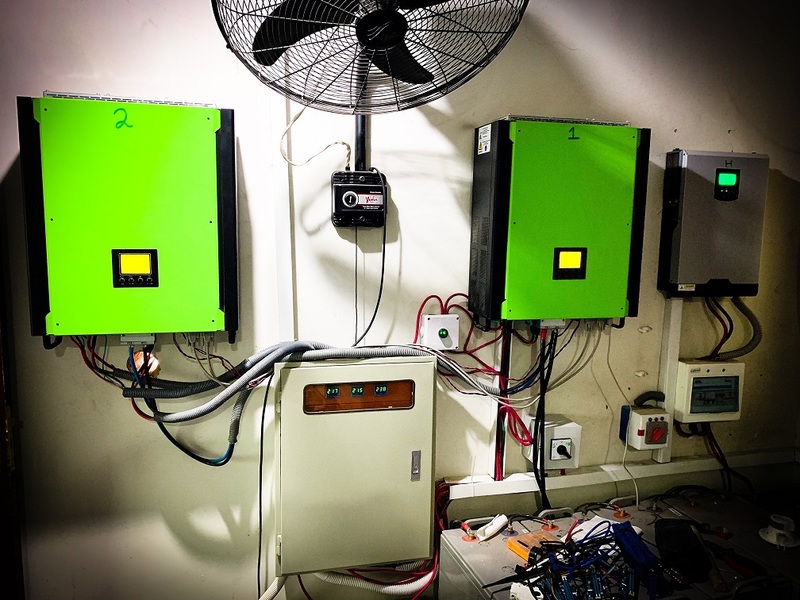 Check out what one of the PiMP miners did with solar panels to increase his profits and save space in his solar-powered PiMP farm! Latest additions include an Automatic Voltage Regulator to smooth out the supply voltage for stability that provides him weeks or even months of uptime – just go to forum.getpimp.org and click Rig Showcase to check it out! Happy New Year, PiMPs and here’s to a stable and profitable 2019! To help start this year out right, I thought I’d cover the most common support request we get nowadays: “Failed Key Validations”. Many of our veteran PiMP’s will be familiar with how to deal with these, but for our new PiMP familiy members, I’ll go over how to remedy these issues. There are a couple of reasons why a PiMP OS Key will fail validation. Network Problems, Incorrectly Typed Key, Improper SSD Flashing, and Max Agents. I know it sounds like a lot, but almost all of these have a very simple fix. Let’s go over each one, one at a time, starting with the hardest one. 1. Network Problems: Key validations require a working connection to the internet. PiMP OS defaults to using the Dynamic Host Configuration Protocol (DHCP) to automatically setup your PiMP rig to connect to the internet. If this is not working or your network does not use DHCP, you’ll need to manually configure your PiMP rig and/or troubleshoot your network. This is the hardest issue to sort out due to the fact that there are so many different ways one can configure a network. The good news is that this has less than a 1% chance of being your problem. 2. Incorrectly Typed Key: This is really only a problem when manually entering your PiMP OS key and usually is due to mixing up letters/numbers because they look similar (i.e. lower case “L” looks like the number “1” or the number “5” looks like a capitol letter “S”). The easiest (and fastest) way to enter your PiMP OS key is via SSH. After you’ve booted your new PiMP rig, it will display your rig’s IP address and ask you for your PiMP OS key. Instead of trying to manually type in your key, use another computer/laptop to establish a SSH connection to your PiMP rig. Upon connecting, you will see the exact same screen asking for your PiMP OS key. The “magic” here is that now you can just copy and paste your PiMP OS key directly out of your email. No matter what method you go with, when it comes to flashing your drive, you must ensure that the host machine’s OS has let the drive go before you disconnect it. For Windows this is called “ejecting” and for Linux/MAC it’s called “unmounting”. If for any reason you cannot eject/unmount, then simply shutdown the host machine before you disconnect the drive. Failing to do this will cause failed validations and the only fix is to re-image the drive and try again. 4. Max Agents: Except for volume license keys, PiMP OS v2.x keys can only be assigned to one rig at a time. Attempting to validate a PiMP OS key that was already assigned to an active rig would cause a validation to fail. In the past, reassigning your PiMP OS key required a 1 hour wait period to reset, however, since the release of MINER.FARM v3, the 1 hour waiting period has been removed. PiMP OS users can now “reset” their PiMP OS keys manually from within their MINER.FARM account. These four issues/fixes are covered in more detail on the PiMP forums. Should you need further assistance, jump on into the PiMP Discord channel and someone from the PiMP Support Team will be glad to help you out. Catch you all next month and Happy Mining, PiMPs!